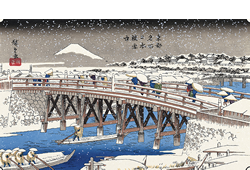 Adachi's ukiyo-e woodcut prints are carefully handmade by skillful artisans. 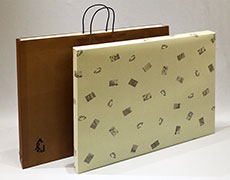 They are only available in Japan and well used as special gifts for special occasions all around the world. 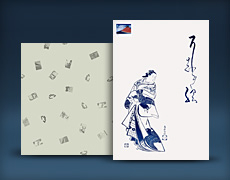 Adachi's ukiyo-e selection is over 1200 kinds. 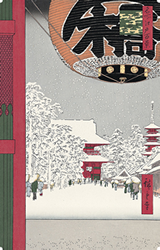 World famous masterpiece of Hokusai's "The grate wave off Kanagawa" or Hiroshige's beautiful eye catching snow scene"Kinryuzan Temple at Asakusa" would be perfect as a holiday gift. Please find the best for you from the biggest selection! 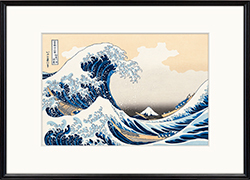 Ukiyo-e Reproductions by the Adachi are created based on select works from world-famous Ukiyo-e collections with the same traditional techniques that were used in the Edo period. 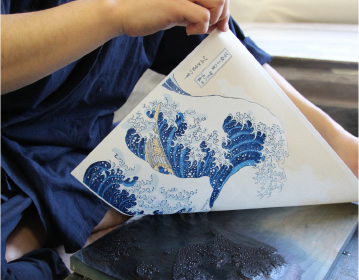 Skillful artisans carefully create each print with using same materials and tools from the time of Edo period. 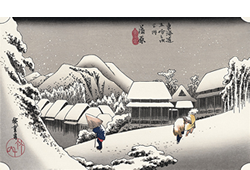 Carefully handmade Adachi's ukiyo-e reproduction has beautiful colors can be only seen on Japanese traditional woodcut prints. 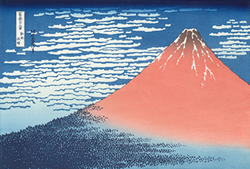 Adachi selects the same traditional materials that were used in the Edo period as much as possible such as woodblocks made from mountain cherry tree or traditional Japanese hand-made papers called Kizuki hosho, made by Mr. Ichibei Iwano who is a living national treasure. Also Mineral and botanical pigments are mainly used. 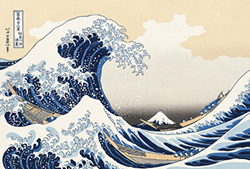 Printers work hard to create desirable beautiful colors for the best result. 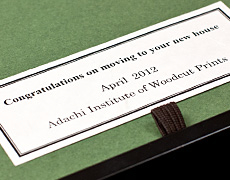 Adachi owns the printmaking studio where both carvers and printers, who inherits extremely high techniques from Edo period, work together to create works. The directors are also work with them in the studio to direct and supervise the every single process. 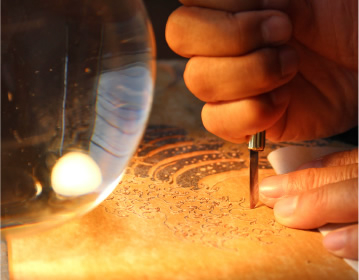 This perfect triangle of skillful artisans and the knowledgeable directors make all of Adachi’s works finish in the highest quality.